For jackets that cross over from country to city, look no further than the Timothy Foxx autumn collection. Featuring a selection of stunning tailored jackets, the Timothy Foxx Isla Jacket in newly introduced Igloo Blue gives a delicious twist to this season’s ‘Cool Blue’ story. 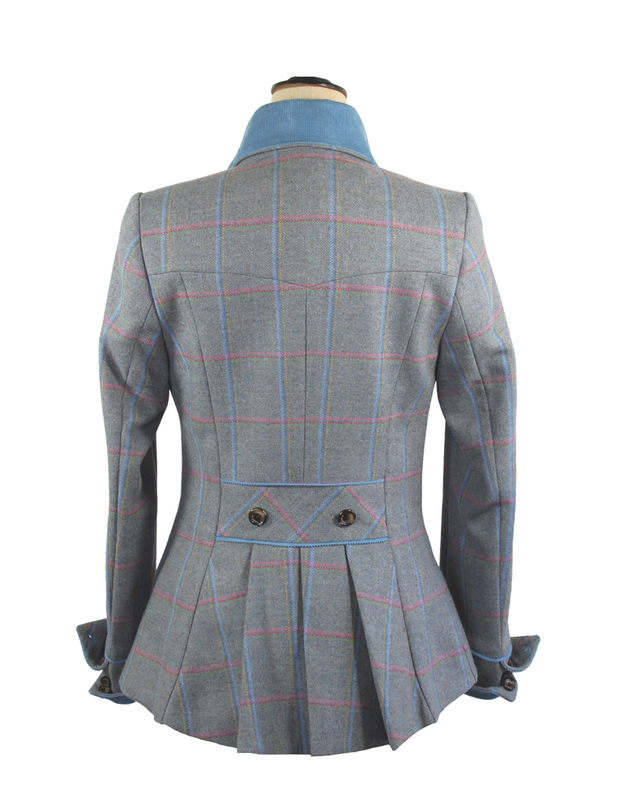 This gorgeous single-breasted jacket breathes new life into a wardrobe classic, featuring oversized turn-back cuffs and matching elegant high collar in a stunning Powder Blue corduroy and a pretty Pink and Powder Blue Plaid finishes this stunning tweed jacket.